I'm only 12, just turned, and every day I just can't sleep in my own bed or really any bed. I stay up to about 3 am and I feel so restless but I still don't go to sleep anyway. It's because earlier on my Mother and I went on the computer to see why I cant sleep because what's been happening is I've been having nightmares about ghost people coming out of graves and so on. I haven't for a long time had good dreams and sometimes my body completely freezes I can't move anything, and then I see shadows in my head and I hear voices but not very often. So anyway my Mum and I were on the computer and looked up why my body was freezing like that and we discovered that I had sleeping paralysis. But after that I keep having visions and chills and mostly stayed up at 3 am or more so my mom offered for me to sleep in her bed for a few days while my dad's gone. So we sleep together but I still don't sleep at all till midnight. So if u can help me cause I've had since I was 6 or 8 but still please if u can give me some answers it might be easy for me to sleep and my mum got me a worry doll to help me but still if u can help thank you. Hi Jasmine, Thanks for sharing your story. I'm so glad you and your Mom found out it was sleep paralysis that you are experiencing, which many other people experience as well. 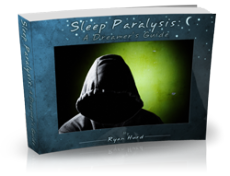 A helpful book that discusses ways in which you can avoid and cope with sleep paralysis and nightmares is Ryan Hurd's Sleep Paralysis: A Dreamer's Guide. You could try sleeping in different positions, as I've heard people tend to experience sleep paralysis the most while they are sleeping on their back. Also, since you are staying up late, you may want to look into learning about delayed sleep phases. A delayed sleep phase is when your biological clock shifts forward, so the hormones your body releases to make you tired don't get released until later in the night. 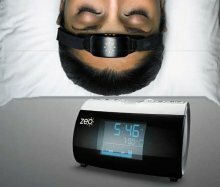 You can shift your sleep phase back by making sure you expose your eyes to a lot of bright light in the morning. Even if you are sleeping, having your curtains open to let sunlight hit your closed eyelids can signal to your body to shift your sleep phase back to an earlier position. All the best, and feel free to use this page to document any updates you experience in the comments. When I wake up frozen I scrunch my face up a few times and I Usaully wakes me up, rarely does it not, I'm 12 too, I get it every single night. Ugh, same here. Just TONIGHT I've had 3 sleep paralysis experiences. Now I'm not going to sleep again. It just started LAST NIGHT! Now I can't and won't sleep. I'll have to yield my parents. I'm just afraid that they won't understand. It's so scary but mostly it's annoying. I just want to go to sleep! Hi Jasmine,I’ve just turned 12 and I’ve recently have trouble sleeping,I haavent has sleep paralysis yet,but the reason I am scared to fall asleep is because I’m afraid I might experience sleep paralysis. i completely understand i am 12 and its started weeks ago. i kept on thinking about this 'momo' guy and it made me go 'omg their gonna kill me' and i couldnt move AT ALL it was so scary. so i researched and turns out what u can do is start meditating or something like that, or u could try (when u r experiencing it) to wiggle ur fingers and toes and it could help and try not to go to sleep on ur back. i hope this info has helped u! I’m having sleep Paralysis too. I am also 12 years old. One of the reasons is you are sleeping so late and your sleeping schedule is off. It’s okay don’t think it’s a ghost or anything I first thought it was a ghost but it wasn’t it was just me. The reason I get sleep Paralysis is because I sleep one time at 4 pm and 2nd time at 10:00. I am so lost and I have no idea why it has to happen to me for this.